During this season, boots are probably the most popular kind of wholesale shoes for women available. But then, women who use it also need to know how to keep their pairs clean and last for a long time. There are leather boots, suede boots, and boots made of other material. Suede is one material that can be quite a challenge to maintain. 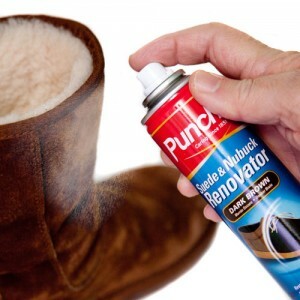 If you suddenly find your suede boots having a stain, you can use those special erasers or suede bars to clean it up. Those special erasers help in removing dirt and stains from suede wholesale shoes. One cannot use just any kind of brush for suede shoes. There is a special brush that you can buy just for this material. You can also use a soft brush or a toothbrush with soft bristles. To raise the nap after cleaning the suede shoes, you can use a special brass-bristle brush made just for this. Those suede shoes you bought from the wholesale shoes section should be stored properly so that they last long. It should be stored in a cool and dry place to prevent any moisture build-up or mildew from forming on the shoes. You can place them on clear plastic boxes and place those packets with small beads that prevent moisture from forming. You can also place them on shoe bags to protect them from getting scratched. Most people think that leather boots is an all-weather, all-occasion shoe that you can use. The end result would be a pair of shoe that has not been well-taken care of and left to eventually rot and be destroyed. This should not be the case because proper care should be extended if you want to prolong the life of your leather boots. It should be treated so that it can last long. It is a no-no to let muddied boots dry out. After taking a hike, wash off the dirt and grime with a hose. Use a stiff-bristle brush to brush off the remaining dirt and those that hid in the crevices. Use a saddle soap or any that is made specifically for cleaning shoes. After cleaning, it is best to apply water-based proofing and stuff it with newspapers and hang them to dry. It is best to store boots in a dry area. You can also use cedar shoe trees so that they will keep their shape and absorb excess moisture. You can also apply a coating of paste wax if you intent to store them for a longer time to protect the leather and deter it from drying out.